I’m on pc. I tried again this morning and no update. I had to click on the game in the MS for it to start downloading. Well I mean I'm not so mad anymore although I still believe it should be placed in it's proper division, overpowering or not. But being able to turn down the power and grip handicaps plus using buckets helps keep this car within it's proper field being competitive with the other can ams. There is ways around things thank God. But that's what makes the 917/30 so great, and so worthy of being recognized here and in other forms of media! It was the car that finally was able to compete with McLaren, which won pretty much every Can-Am race -- not Can-Am Championship, I mean nearly every individual race -- in the early '70s. The 917/30 worked within the confines of those rules, so why not here? 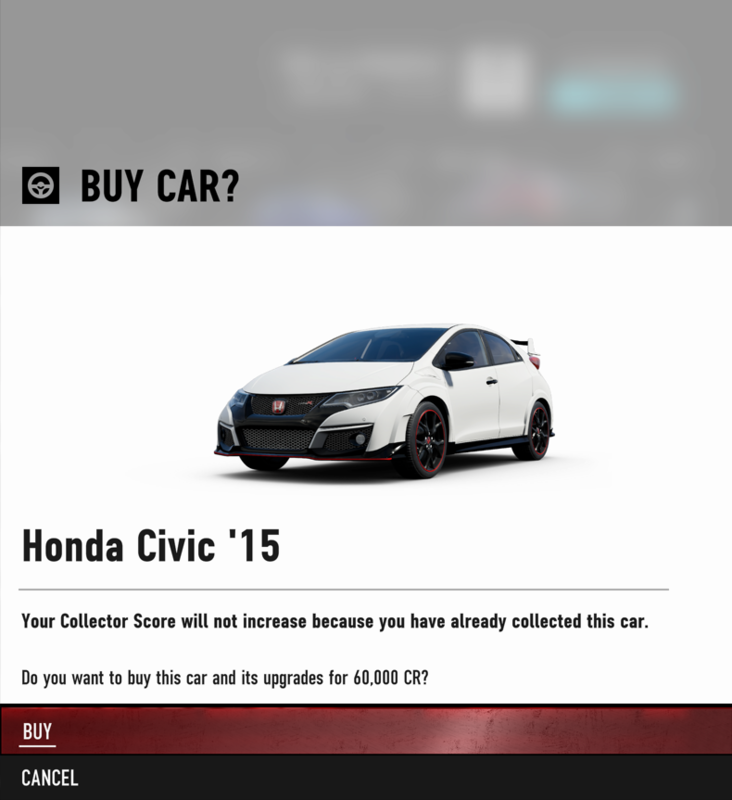 And of COURSE there's a way to balance it: force me to install the same tires that all the other cars in the category have. Knowing how much of a difference tire choice makes in FM7, I'm sure that would do the trick. Might make the car tough to drive, but at least it'd be my choice to drive it. Right now, I don't even have the choice in career. Which you say "few play", which I'm sure you can't prove. The car comes with Goodyear slicks and there are cars in PGR division with grooved tires. However, I'll say that T10 should add the ability to make tires narrower as well as letting us fit every measure in-between the ones we have now. Another problem is that homologation is supposed to be balanced (even if it isn't). If you, say, cut power by half and the car still ends up 2 seconds faster than the others, it can't be in that division. Same as if it was slower. And there's also the class system to take into account. The 804 for example can't hope to compete against the other F1 cars. Its tires are too narrow and it lacks power next to the others, even with supercharger conversion. So it was left out. The BMW 328 can be upgraded to Vintage Sport Coupe rules (C450) but its tires are too narrow, which hurts its handling, so that's probably why it was left out. Then there are things such as licensing which may prevent us from changing stuff in the cars. The tires in the 917/30 are lettered so it's possible Porsche requested T10 to make an exact copy of the car and didn't allow any changes. To me it seems there's lots of stuff they can't do because of licensing. It's definitely strange that we can't fit the Ford cars with the 5.0 Coyote. Ford is stingy with copyrights so maybe they copyrighted "5.0 V8" and don't let T10 use engines with that description, which includes Jaguar's supercharged V8 and Ford's own 302. I will try to point out a problem in the settings of the FREE PLAY that annoys me a lot and I think it bothers many other "purist" FM7 players. In any racing version of FREE PLAY, when we prepare in the lobbies (always off), it is never possible to adjust the CAR DIVISION WITHOUT ENHANCEMENT. This is very annoying because it robs the player of the possibility of feeling like the cars of the same division behave in their pure version, without improvements! 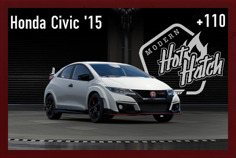 The taste of the game is in the feeling of feeling the differences and limits of each car. I want to feel the difference between them on the track! Running in a car division, all necessarily being improved, takes away that sense of pleasure when competing between cars of the same division or between different divisions. I believe that this adjustment is relatively simple to execute. Please pass this information on to the Turn10 staff. It sounds like a silly detail, but it will make a lot of difference in practice. Indeed. For some weird reason I'm fascinated by licensing issues, and I can see how this would make sense. The worst is that I've been tapping this button for months and questioning Turn10 for this channel, but I've never gotten a response. To this day I do not understand why I can not set up a race in FREE PLAY so that I can race in a car division without necessarily having to improve them? I believed 2 groups. In one of them everything is released (for me) and in the other I specify a split (but I want all of them as well as I run without improvements and BANG!) Settings do not allow any split to go without improvements. This is very, very frustrating! I WANT TO RUN WITH ANY CAR (ENHANCED OR NOT) AGAINST CARS WITHOUT ENHANCEMENTS OR NOT! I WANT TO CHOOSE THAT! But again forgot about the collector's screen, it's still 2015:))) But it's a minor omission, so it doesn't matter, just fact.